There are many ways for electronic music producers to earn a living, releasing music, performing etc, however for a select few, who have the ability and their own marketable sound, a specialised sample pack is an emerging source of income. Audiojack have now joined fellow peers by teaming up with Loopmasters to create their own signature sample pack. James Rial and Richard Burkinshaw AKA Audiojack have had some sizeable records in recent years, including releases on 20/20 vision, Get Physical, Tsuba, Off Recordings and their own imprint Guuv, resulting in a very impressive back catalogue, but does the sample pack live up to the stellar name to which Audiojack have become accustomed? So in detail, expect to find 1.22GB of 24Bit 44.1 KHz samples including 56 Bass Loops, 135 Drum Component Loops, 64 Music Loops, 69 Vocal Phrases, 121 Drum One Shots, 39 Bass Multi Sampled Instruments, 5 Bass One Shots, 36 Sfx, 34 Synth Multi Sampled Instruments, 12 Synth One Shots, 337 Rex 2 Files and 140 Soft Sampler Instruments for Kontakt Halion, Exs24, Nnxt and sfz Formats. The collection is also available in apple Loops, Ableton Live Pack and Reason Refill to purchase separately. When previewing the demo of this track what really caught my ear were the synth pad sounds so I decided to load a few of the sampler instruments into Logics Exs24. What I loved most about these sounds was the fact there is a lack of buzziness around the high frequencies. Almost every sample pack I have ever bought has had these issues with synth sounds, meaning you have to EQ them accordingly to make them sound a lot more pleasant on the ear. Audiojack, however, have produced this so smoothly that there is no need to tame the high end which results in less processing. Other key elements in this sample pack are the bass sounds. With bass playing such an important part in the body of house music it’s crucial to have the right sounds. 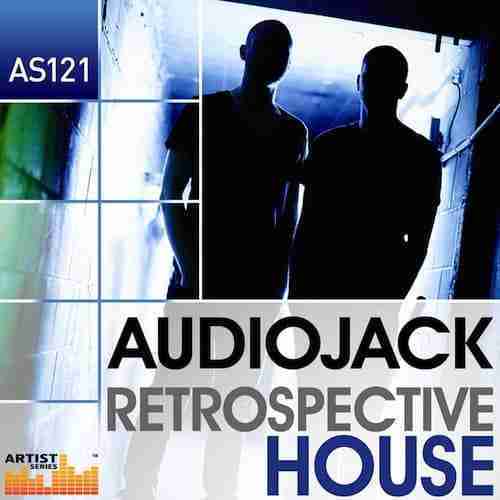 Audiojack have decided to include the usual FM bass sounds you hear in Detroit techno and modern day deep but with a slight twist to give it a unique, distinctive element that makes them stand out compared to your average synth preset. Overall I feel this is an essential sample pack for budding producers wanting to create deep melodic house as there is an extensive range of synth pad, lead and bass sounds to get you started. It’s also a handy pack for experienced producers who want an arsenal of ready made sounds at their disposal to add the finishing touches to a track.